In March 2011, a group of demonstrators took to the streets of Deraa in Syria. These peaceful demonstrators demanded the release of fourteen school children who had been arrested for expressing sympathy with Arab Spring protestors in Tunisia and Egypt. President Assad’s security forces opened fire on the demonstrators and killed four people. That incident became the spark that ignited a civil war in Syria that has resulted in thousands of deaths and more than a million people displaced from their homes. In the years since the firestorm was ignited in Deraa, hundreds of thousands of Syrians have fled to Turkey, Lebanon, and Jordan in search of safety. All of these individuals have suffered some kind of loss — everything from property to the deaths of family and neighbors. 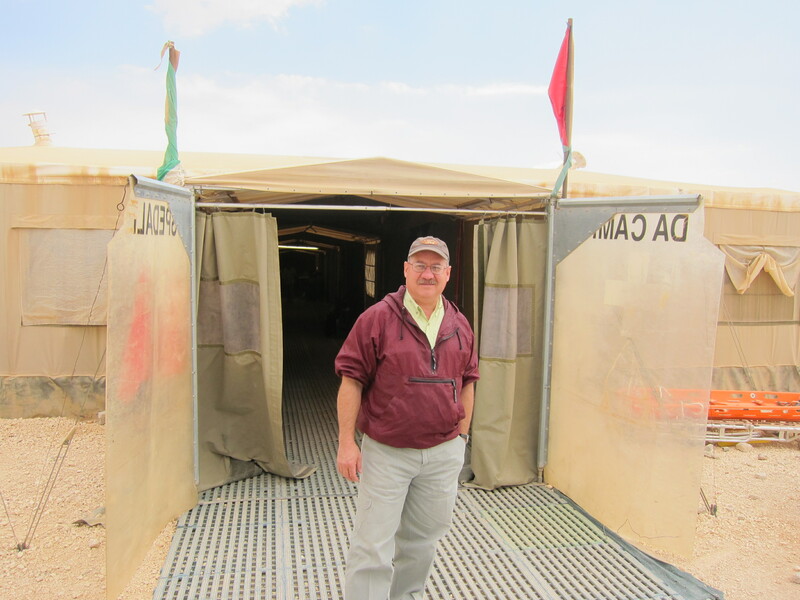 I have personally visited many Syrian refugee families in Jordan over the past couple of years to pray with them and to provide much-needed humanitarian relief. Many have expressed deep interest in knowing what would motivate a Christ-follower to help Muslim families in distress. Our team at Bush Intercontinental Airport in Houston. 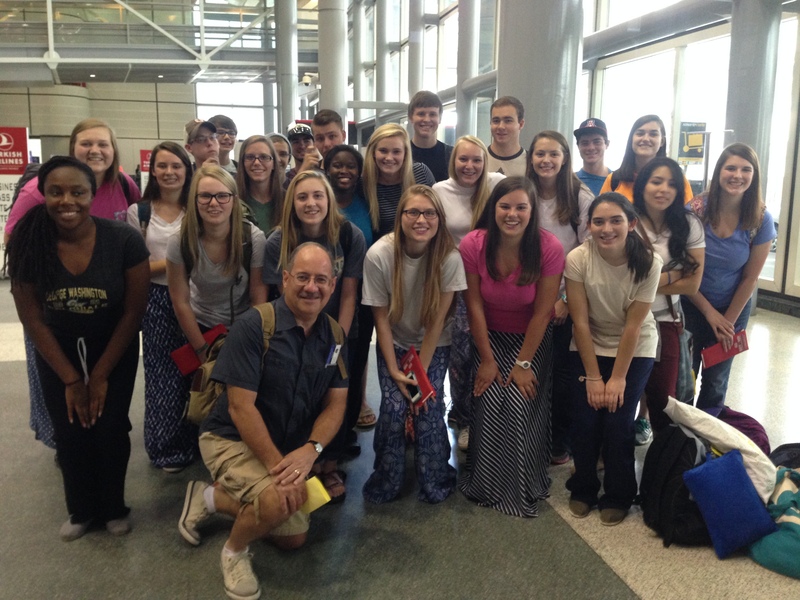 Today, I am leading a group of our high school graduates to Jordan to reach out to Syrian refugees. These students will have the remarkable opportunity to engage in ministry to people they’ve only heard about on the evening news. By moving in the direction of people in need, our students will gain deeper insight into current events in the Middle East. They will meet Syrian parents who want nothing more than to provide for the needs of their families and kids who long for a safe place to live and an opportunity for a brighter future. Ten hours later, Martin Luther King, Jr. was dead. But his legacy lives on and has changed our world forever. As we continue to equip the generations at Kingsland to love God and love people, we want for our students to “develop a kind of dangerous unselfishness” by living incarnationally — being the hands and feet of Jesus among those in need and in pain. That is why we are bound for Jordan. Thanks for your prayers for my team and for the more than 400 other Kingsland students and adults who will serve around the world this month. Thank you, Omar, for leading the students on this journey! We will be back home “rejoicing, praying continually and giving thanks” for all of you! Thanks, Carla. It is a privilege to lead this team of students. Looking forward to a great trip. Thanks for your prayers.